Swipe for 4 more photos! EX TOURING GRAPHITE EDITION -inc: Black Color Roof Rails Front Heated Bucket Seats 10-way power-adjustable driver seat w/power lumbar support and 6-way adjustable front passenger seat Wheels: 18" Alloy (DISC) Tires: 18" (DISC) Unique Metallic Front Grille Insert chrome surround and gloss black (outside) Radio: harman/kardon Premium Audio System 8" touchscreen w/UVO eServices w/premium navigation w/Android Auto and Apple CarPlay 8 speakers external amplifier subwoofer USB auxiliary input jacks Bluetooth w/voice recognition 4.2 LCD information display and USB charger in center console storage box, CHARCOAL CLOTH & LEATHER-TRIMMED SEATS, CARPET FLOOR MATS, PLATINUM GRAPHITE, Front Wheel Drive, Power Steering, ABS, 4-Wheel Disc Brakes, Brake Assist, Aluminum Wheels, Wheel Covers, Tires - Front All-Season, Tires - Rear All-Season, Heated Mirrors, Power Mirror(s), Integrated Turn Signal Mirrors, Power Folding Mirrors, Rear Defrost, Privacy Glass, Intermittent Wipers, Variable Speed Intermittent Wipers, Rear Spoiler, Power Door Locks, Daytime Running Lights, Automatic Headlights, Fog Lamps, AM/FM Stereo, Satellite Radio, MP3 Player, Bluetooth Connection, Auxiliary Audio Input, Smart Device Integration, Steering Wheel Audio Controls, Hard Disk Drive Media Storage, Bucket Seats, Heated Front Seat(s), Pass-Through Rear Seat, Rear Bench Seat, Adjustable Steering Wheel, Trip Computer, Power Windows, Leather Steering Wheel, Keyless Entry, Keyless Start, Cruise Control, Climate Control, Multi-Zone A/C, Cloth Seats, Leather Seats, Driver Vanity Mirror, Passenger Vanity Mirror, Driver Illuminated Vanity Mirror, Passenger Illuminated Visor Mirror, Auto-Dimming Rearview Mirror, Floor Mats, Cargo Shade, Security System, Engine Immobilizer, Traction Control, Stability Control, Front Side Air Bag, Telematics, Blind Spot Monitor, Cross-Traffic Alert, Tire Pressure Monitor, Driver Air Bag, Passenger Air Bag, Front Head Air Bag, Rear Head Air Bag, Passenger Air Bag Sensor, Knee Air Bag, Child Safety Locks, Back-Up Camera The 2018 Kia Niro is a smarter kind of crossover. 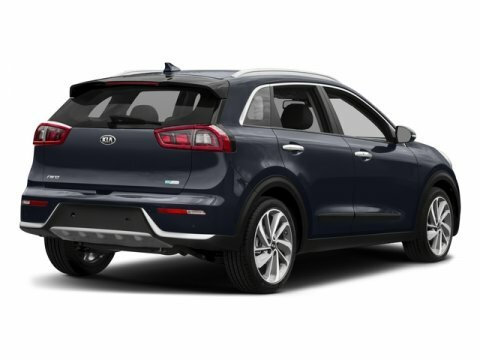 From the stylish wheels to the rear spoiler, the Niro mates upscale style with athletic appeal, pushing the limits of what a hybrid can be. 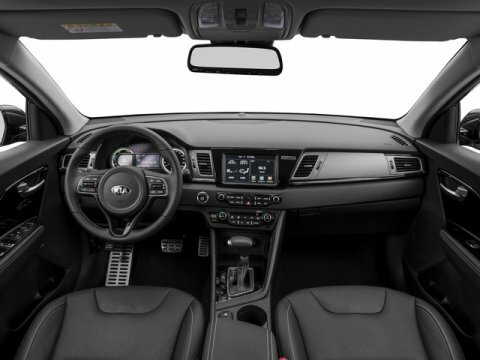 More than a cabin, the interior features an available power drivers seat with lumbar support that adjusts up to 10 ways, heated and ventilated front seats and heated steering wheel. The Niro comes with available concealed storage and seats that fold down to give you more room for larger items. At the core is the pure power of our hybrid-optimized engine with a highly efficient, lightweight electric motor and a powerful lithium-ion polymer battery. But dont forget about the 1.6L, gasoline-direct injection engine offers both high efficiency and a sporty feel. 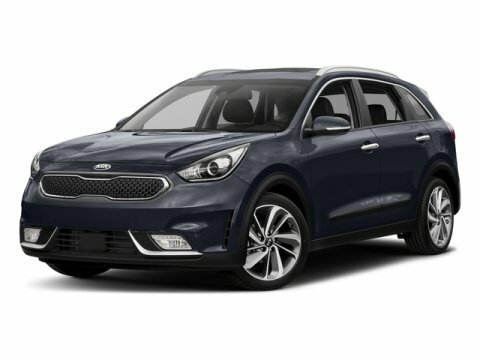 The Niro is packed with cutting-edge technology, including a built-in 7- or 8-inch color infotainment system, send and receive texts, access your favorite apps, smartphone capabilities, connection to Google Home or Amazon Alexa, Apple CarPlay or Android Auto support, voice-activated technology, a premium sound system and available wireless charging. 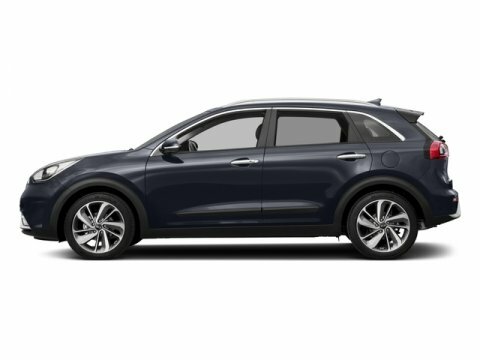 It also offers a suite of safety features, including electronic braking, traction control, blind spot detection, rear cross traffic alert, lane keep assist, smart cruise control, park assist and forward collision warning.